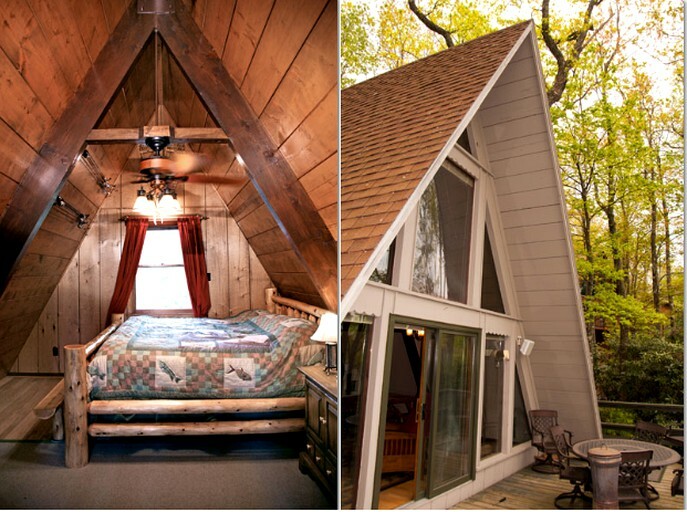 This country glamping chalet can sleep up to four guests in two bedrooms. 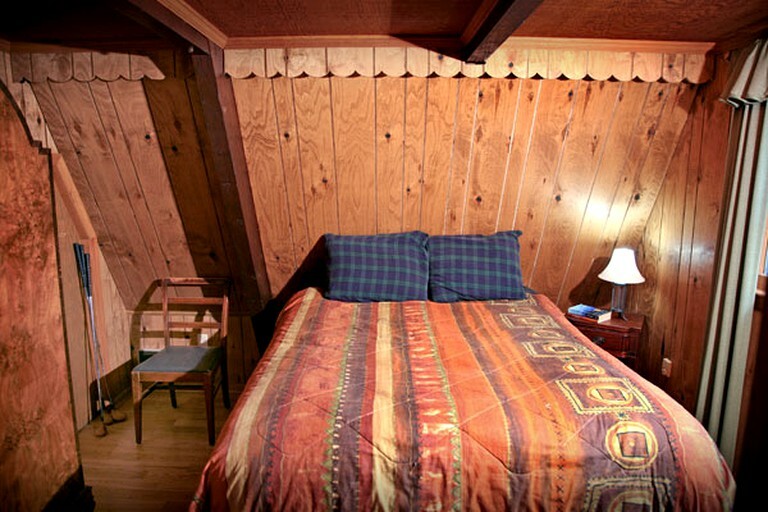 The master bedroom is in the loft, and the king-size log bed in this room is made from locally grown red cedar wood and was also made in the area. This bedroom has lovely views of Mt. Mitchell and the valley below. The second bedroom has a queen-size bed. 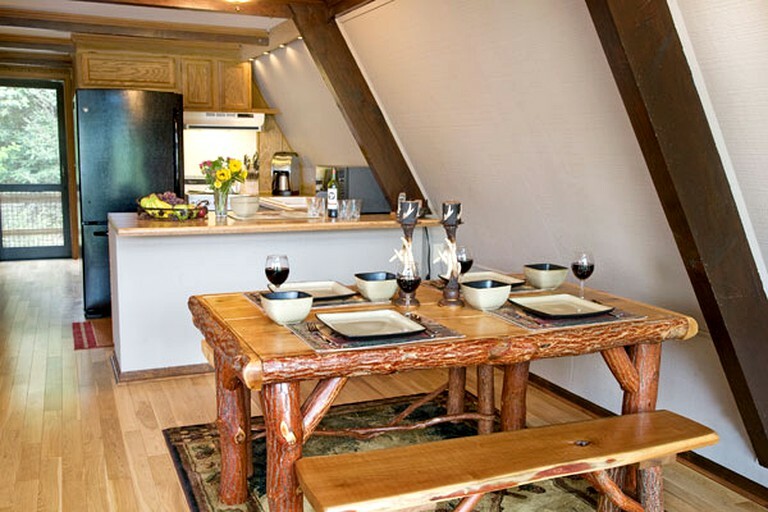 This glamping rental features many modern amenities including Wi-Fi, cable television, a fully equipped kitchen, electric outdoor grill, a firepit and central air conditioning. There is also plenty of on-site parking available. 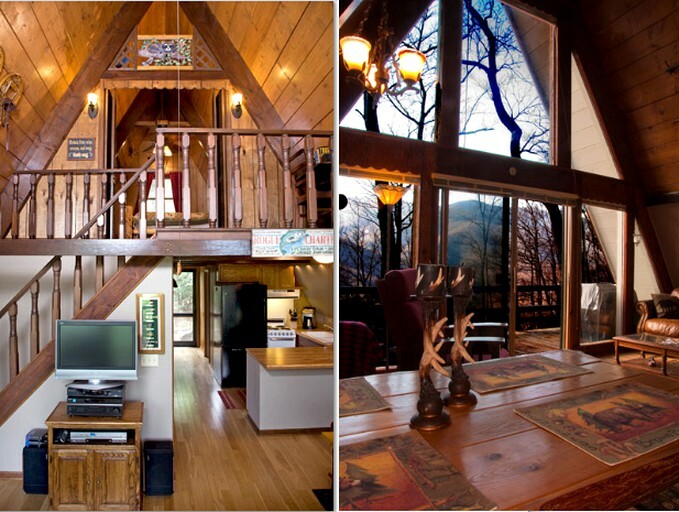 The chalet features a nice front deck from which guests can take in the fresh air, views of the peak of Mt Mitchell and woodland views. 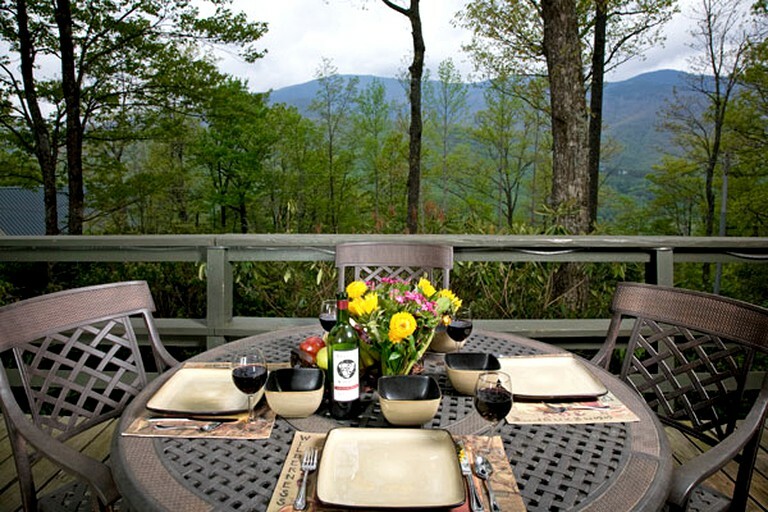 This glamping accommodation is located in Burnsville, a town in northwestern North Carolina. 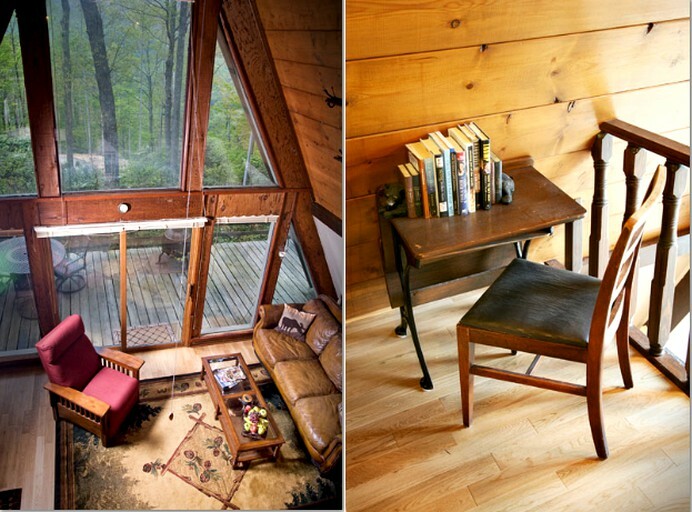 It is nestled in the Blue Ridge Mountains—particularly Mt. Mitchell. This town exudes laid-back vibes to help glampers relax even more throughout their vacation in North Carolina. 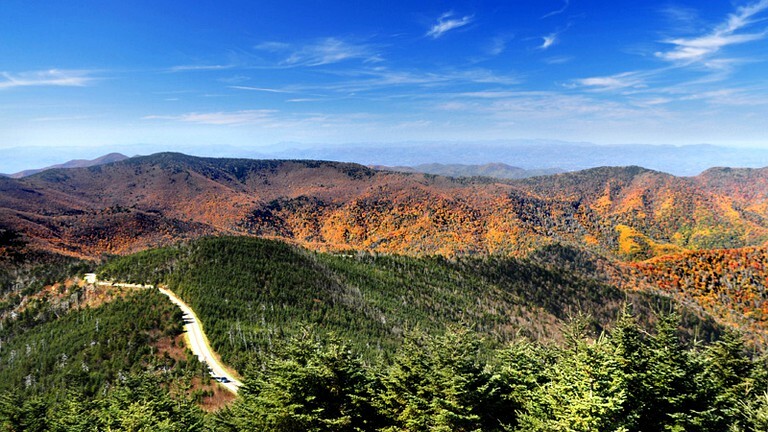 Asheville is the closest major city and is home to a number of attractions and interesting sites, including the Biltmore Estate, the Pisgah National Forest, the North Carolina Arboretum, and the Botanical Gardens at Arden. 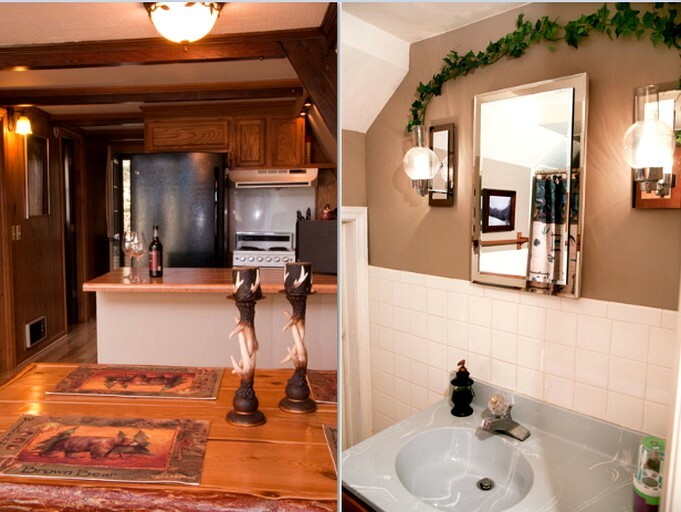 The accommodation is named after the 200-foot waterfall a short hike behind the chalet. 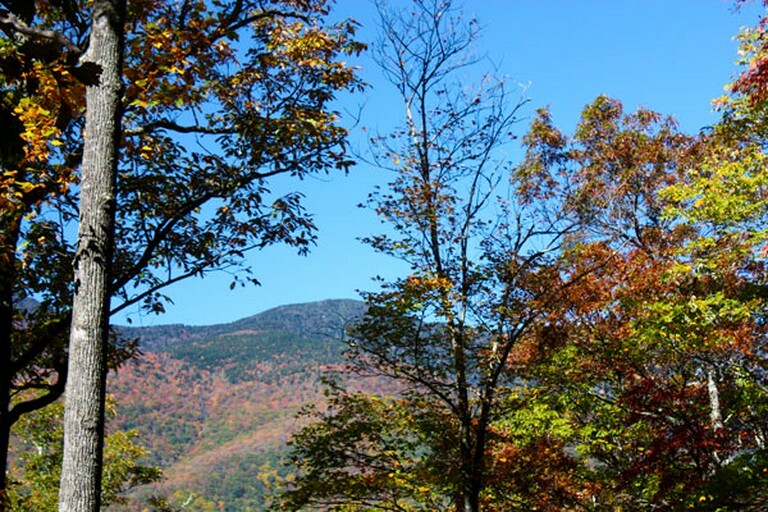 Guests can simply drive about (or hike) to a Ranger's station, park, and hike a half mile to the falls. 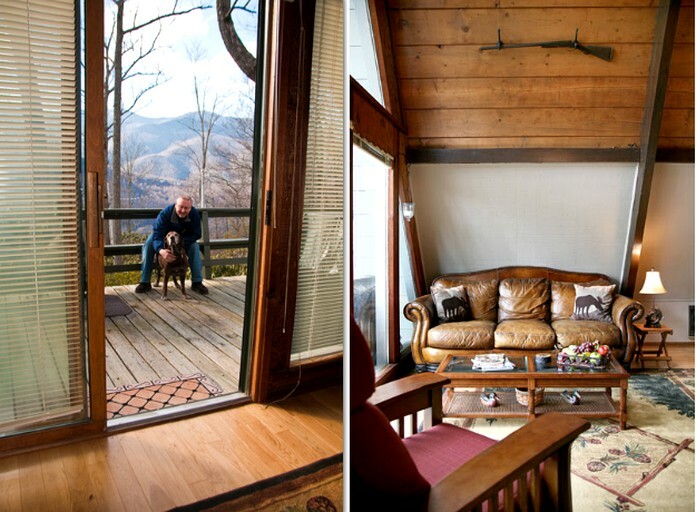 In the winter (if guests are quiet), they can hear the waterfalls and the relaxing effects are something only Mt Mitchell can bring to one's soul. 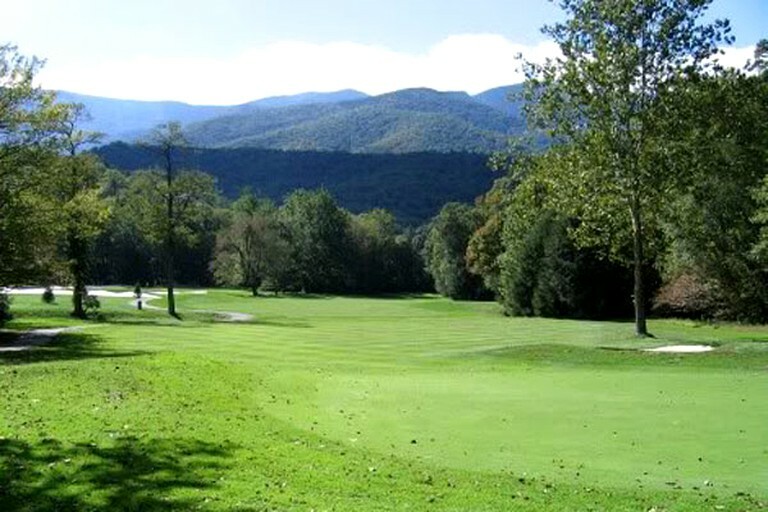 In the summer, guests can escape the heat and cool themselves off in the high mountains of the Great Smoky National Forest, which borders the property line. 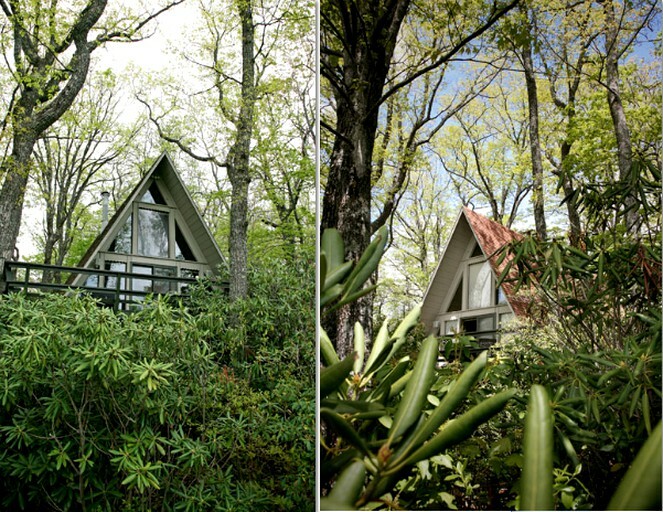 Glampers at this luxury chalet in North Carolina will be able to fully reconnect with Mother Nature, as the property is conveniently situated in the middle of the Blue Ridge Mountains. 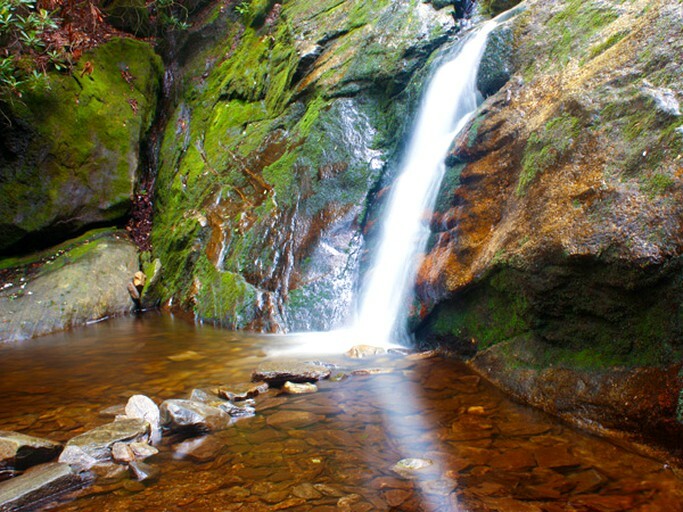 Go hiking, climbing, and exploring in and around the mountain range, and then head out on a relaxing stroll to the waterfall, daring to take a dip to cool off during the summer months. 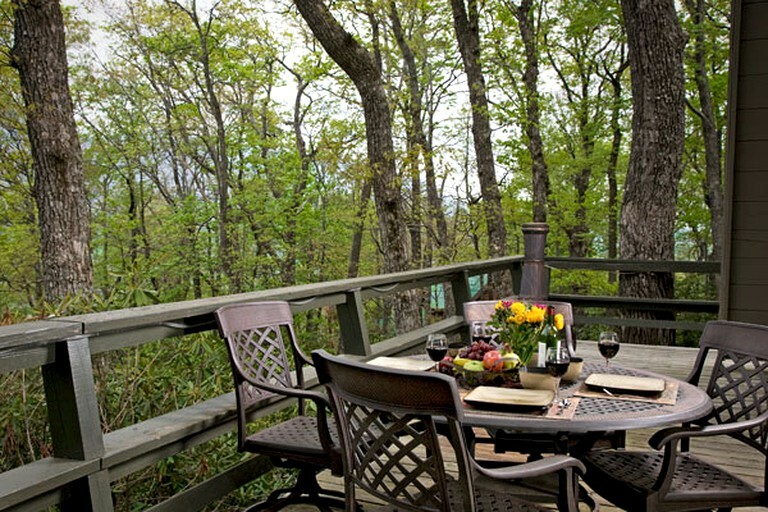 Bird watching, fishing, and mountain biking are just a few more of the activities that guests can participate in while glamping here. This accommodation is pet-friendly for a fee. There is a property damage protection fee of $49.